The Movement was the alternative production team name used by Freshline Records, a.k.a. The Freshline Allstars in the early 1990s. The name was originally created by the team in 1991 in order to help them remain anonymous when producing music for different record labels in Germany (i.e. Ariola, Polydor, Intercord). When using the name 'The Movement,' the team members also utilized individual aliases as well. 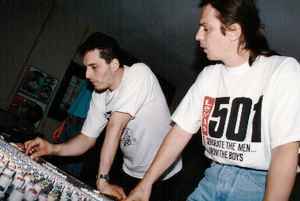 The core producers and songwriters within the team were George Torpey (real name Jürgen Wind) and Dakota O'Neill (real name: Frank Hassas). For promotional reasons, Freshline Records co-founder and rapper O-Jay (real name:Olaf Jeglitza) was given false credit as the third producer/songwriter of The Movement under the alias Dawhite. In reality, he had no involvement in the songwriting or music production.